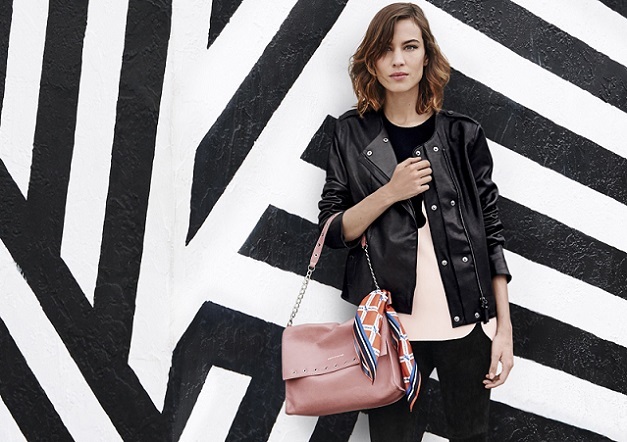 LONGCHAMP introduces the Paris Rock Collection, a chic basic, a stunning rebel. This true classic cross-body bag or hobo bag with its generous size is nothing more comfortable and casual. It is a feminine essential, the "all-in-one" that stays truthful day and night. Admire the incredible suppleness of its washed-out lambskin which gives it an ultra-natural, slightly relaxed touch. Its fashionable and incredibly classy style makes it truly desirable. 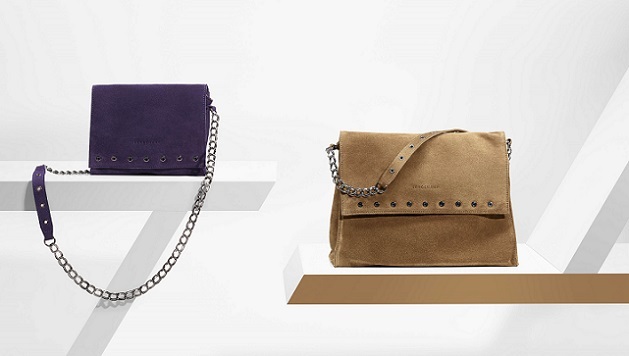 It boasts a line of extra-flat eyelets on the flap and a mixed golden double-link and leather chain. A graphic look yet with a touch of vintage. 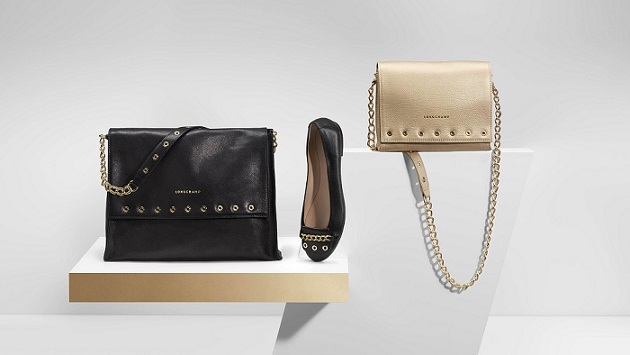 The metallic LONGCHAMP signature is both discrete and chic. Beyond a black and a subtly glinted gold, four pastel shades brighten the season with their softness: a delicate powder, natural ecru and pebble colors and as well as a precious jade. For the mini-sized, ultra-fashionable chain wallet, with all compartments you could wish for, wavering between bag and small leather goods. The velvet calfskin Paris Rocks Velours version with a more arty look in warm bronze or dense blackcurrant accessories with black nickel, these models plunge you into a subdued atmosphere of the slightly 70's trend.